Landscape and animal painter born in London, Lady Helena Gleichen was the daughter of Her Most Serene Highness Prince Victor of Hohenlohe, a half nephew of Queen Victoria, a British Navy admiral and also a sculptor and writer. Her sister, Lady Feodora Gleichen (1861-1922), was a sculptor. Helena Gleichen was educated privately and then studied art in Rollshoven and in London at Frank Calderon's School of Animal Painting. She also studied under Frank Brangwyn and Arthur Lemon. She exhibited at the Royal Academy, City of Birmingham Museum & Art Gallery, New Gallery and also abroad in France and Italy. Several public Italian galleries have examples of her work. During the First World War she abandoned her German titles and became fully engaged with her work for the war effort. She was Head of the 4th Radiographic British Red Cross Unit stationed in the Villa Zucco in Cormons, Italy. She later received the Italian Bronze Medal of Military Valour and was invested as a Dame of Grace of the Order of St John of Jerusalem and an OBE in 1920. She was also a Fellow of the Society of Antiquaries. 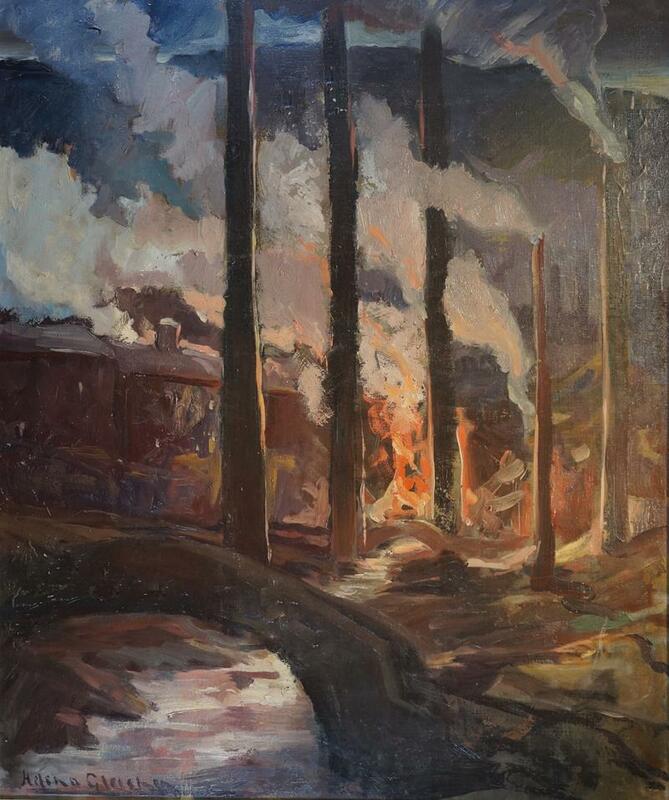 While in Italy she also produced paintings of the war front. She lived in London and at her rambling estate Hellens Manor at Much Marcle, Herefordshire used during World War II by the Tate Gallery for the safe storage of works of art.